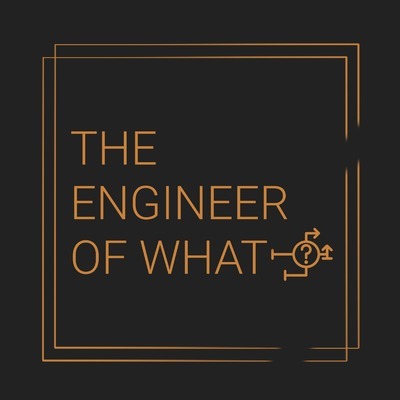 "The Engineer of What?" is a bi-weekly discussion with Rick and Nathan on the life and struggles of being an engineer. If you are an engineer, you know that most of the time you're not even doing what your job title is. As engineers, you're a problem solver and are required to solve anything put in front of you. Doesn't matter what type of engineer you are, you'll be able to relate. Rick and Nathan met in 6th grade, became friends, worked on projects together in high school, and have stayed friends through the different paths life has taken them. They both had a love of technology and problem solving starting from a young age and became friends through this interest. Now that they are both established in their careers they're taking the daily struggles of being an engineer in two totally different fields and creating a podcast out of it.